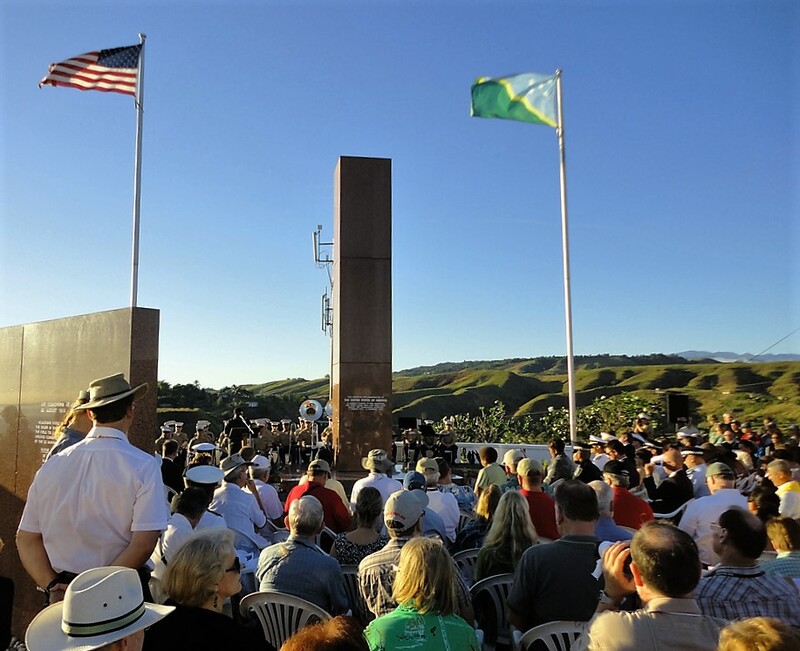 US War Memorial on the 7 August anniversary of the Allied landing. If you tire of diving and snorkelling, there are many things you can do in Honiara, Tulagi and other surrounding islands. The WWII tours are fascinating, both in Honiara and Tulagi. We will gladly assist you to organise a tour with an appropriate operator. Or you could grab a taxi and head off to the WWII war memorials on your own. The US war memorial has a spectacular view of Honiara and a permanent map detailing the various battles. The Japanese and Solomon Scout and Coastwatcher memorials are also worth a visit. 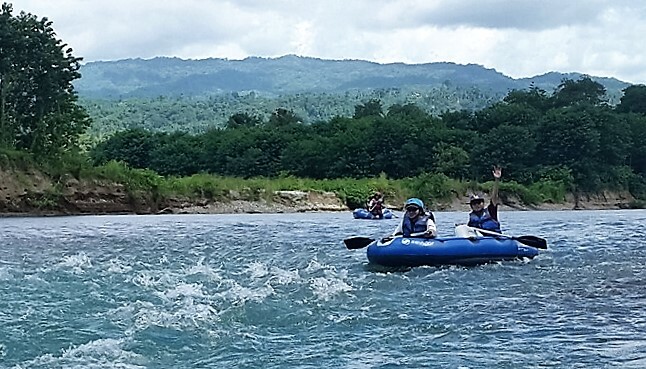 Winding through tropical rainforests with Ko Kama Rafting Adventures. Both the Mataniko and Tenaru Falls are impressive and trips can be arranged by contacting the Visitors Bureau. Honiara Main Market is a good place to start, but don't miss the 'bilum tree' down the road from Mendana Hotel. DJ Graphics across the road from the main market sells souvenir t-shirts and other items. Art in the Park is an Art and Craft Market which is held in Honiara on the Last Sunday of every month and well worth visiting if possible. Contact Ripples for options on boating adventures.